High-end online K-12 curriculum that works across all devices. 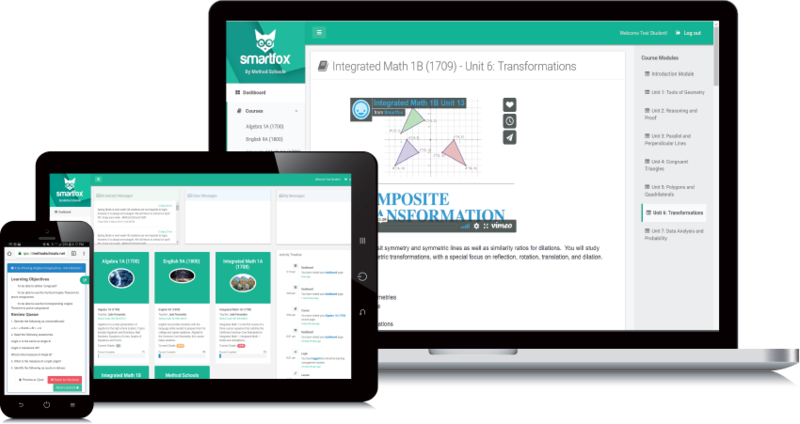 SmartFox delivers true value to K-12 schools by connecting clear and concise online courses to a mobile-friendly learning and reporting platform. SmartFox is an ongoing project and as such keeps getting better and better! Just what students need. Nothing they don't. Clean and simple interface eliminates confusion. Now, Students actually can learn anytime, anywhere. The K-12 ecosystem is chock full of software and online course options. But as founders of a network of charter schools, none of these options provided a solution for us. So we embarked on a project to build our own. Dealing with a hodgepodge of unconnected software and systems is neither enjoyable nor affective. It's time to put an end to this nightmarish monster of wasted school resources. 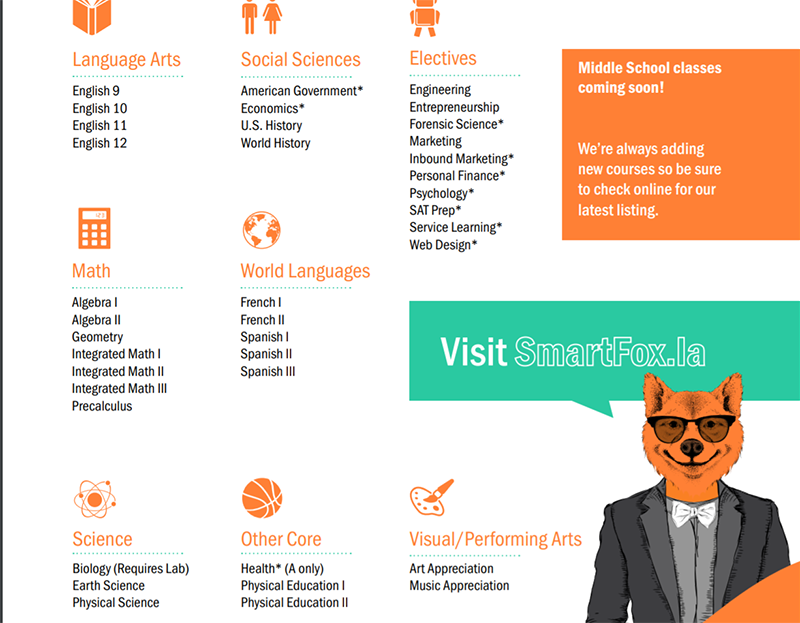 From enrollment to transcripts, and everything in between, SmartFox is the versatile and connected tool that K-12 schools need to reach more students. 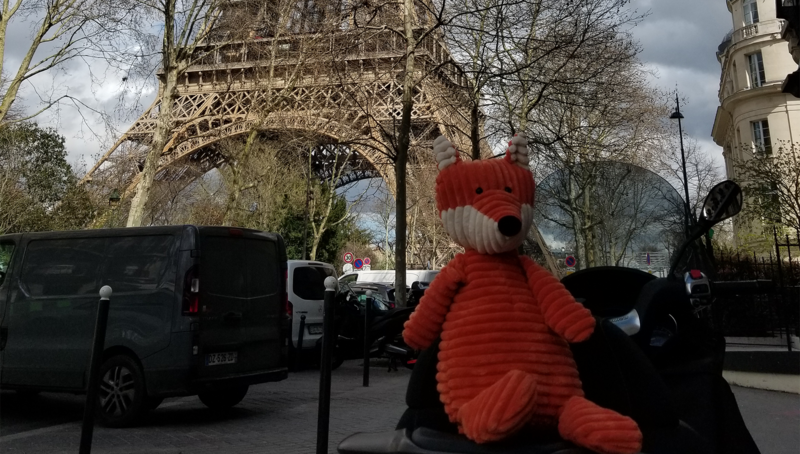 SmartFox is an active project. With your help, we're working hard to make it better every day. As school founders we grew tired of big & expensive online curriculum options. So we built one that works for schools, not vendors. SmartFox is a "full battery" solution. It's comprehensive and rigorous curriculum that will help students graduate and get into college. 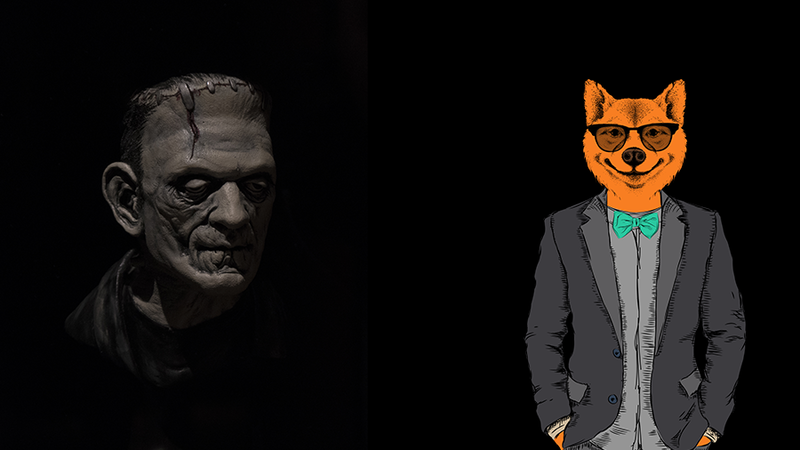 We know from experience that students hate complex, confusing online courseware. We not only had them in mind when we set out to build SmartFox, but they helped us build it (and still are). SmartFox is an ongoing, living project. We won't stop building and making it better. Online learning was supposed to enable anywhere/anytime learning. But students spend more time on their phones than on computers. SmartFox works across all devices, which is great for students on the go and those without internet at home. 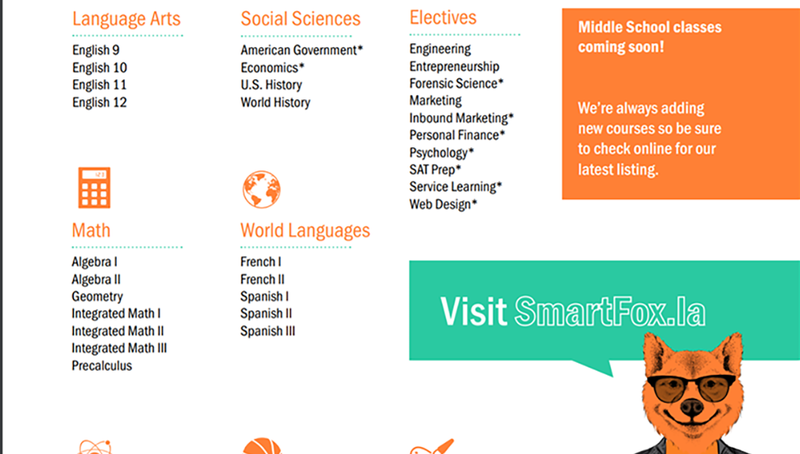 SmartFox curriculum is priced to grow with schools - any school can get started for basically nothing. No contracts, priced to work for schools. We found ourselves in an extraordinarily unique and advantageous position to recruit substantial input and feedback through our numerous relationships with schools and districts and to develop a comprehensive system from lead generation to course delivery in order to better serve students. If there’s an issue with the class, I like that my teacher can fix it right away. I like to see my progress and automated grades happen without a delay. Working on the back end, I love that I can add or modify the design of our curriculum in real time. 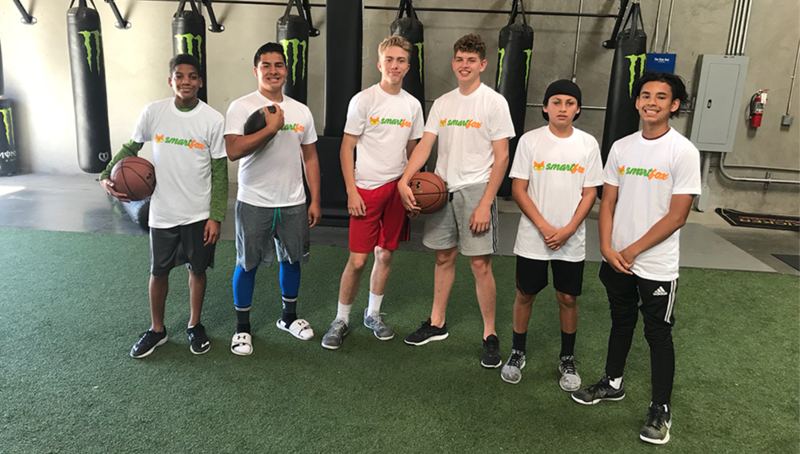 It was always frustrating to have limited access to what we could control but now my colleagues and I have the ability to take care of anything and deliver the best schooling and customer service available. It's easy to get around. The class is interactive & the notes section help during test taking. 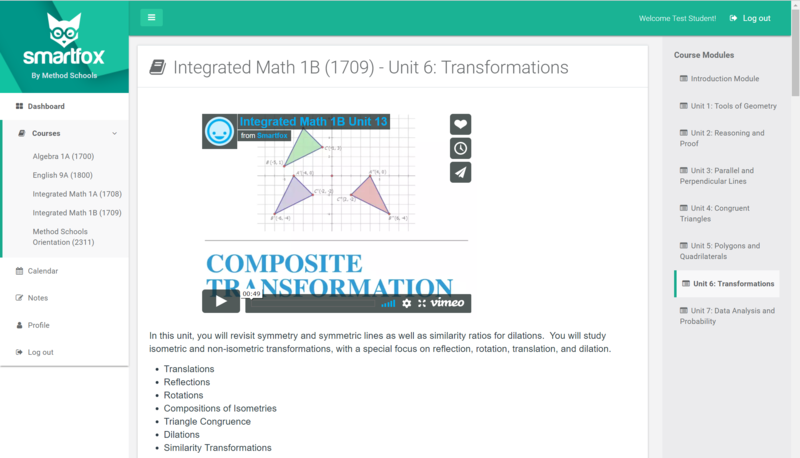 As a teacher, the courses are easy to navigate and intuitive for students.